Fact 14. 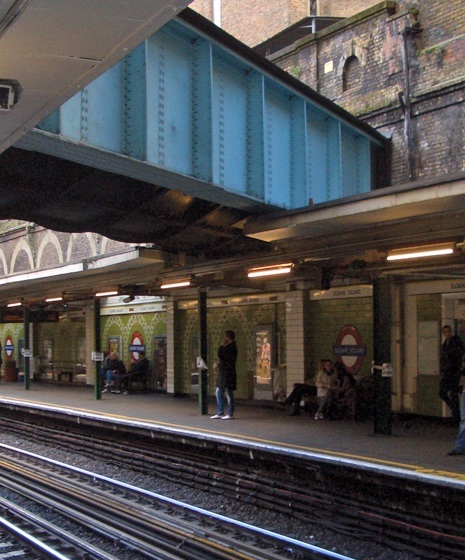 The deepest station is Hampstead on the Northern line, which runs down to 58.5 metres (192 ft). The Underground’s deepest point below ground level however is not far north of Hampstead station at Holly Bush Hill at 67.4m (221 ft). An underground station was partly built here in 1906, to be named North End (though commonly referred to as Bull and Bush from the public house nearby), but it was never completed. The platforms and lower passageways were bricked off from the tracks. During the Cold War a shaft was dug down to the station as part of London Transport’s civil defence preparations, and a building on the surface was disguised as an electricity substation. The exits from the platforms are now marked as emergency evacuation routes from the underground system, and its function is now publicly acknowledged. The station would have been the deepest on the Underground. Fact 47. The first escalator on the Underground was installed at Earl’s Court in 1911. There is a story that a man by the name of ‘Bumper’ Harris was employed to go up and down on the escalators to the Piccadilly line to demonstrate their safety. Harris had an artificial leg, and it was reasoned that it would show nervous passengers that anyone could use the escalators. Unfortunately it is said that some passengers speculated about how his leg had been lost and took the lifts. Although there seems to be no record that ‘Bumper’ Harris ever existed, there is a tiny model of the chap at the Transport Museum’s Acton Depot. What may have contributed to the wariness of passengers was that at the top of the escalators there was diagonal barrier or ‘shunt’ that forced users off to the side at the end of their ride onto the landing. This required them to take an awkward sidestep with one foot while the other foot was still travelling forward, and this proved tricky for many passengers. It wasn’t long before the shunt was shunted into history, and the current comb and slats were introduced. Improbably it is said that Harris became a wealthy man (from what it is not clear) and retired to Gloucester to make cider and violins. Fact 53. The phrase ‘Mind the gap’ dates back to 1968. The recording that is broadcast on stations was first done by Peter Lodge, who had a recording company in Bayswater. An actor was originally used to make the recordings but he insisted on royalties, and so the announcements were re-recorded by Peter Lodge, who was the sound engineer. On the Northern line at Embankment station, the commanding voice of actor Oswald Laurence was used for over 40 years. After his death, his widow, Dr Margaret McCollum, said that she often went to the station to hear his voice. When Transport for London stopped using the announcement in November 2012, Dr McCollum was very upset. But London Transport, ‘touched’ by the story, said they were planning to bring his voice back. Fact 66. Amersham is also the most westerly tube station, as well as the highest. But up to 1933, the Metropolitan Railway, which operated the underground line from the City via Baker Street to Amersham, ran ‘underground’ services much further west to Aylesbury and then onto Verney Junction, deep in Buckinghamshire and fifty miles from Baker Street. The Brill Tramway, a sleepy branch line of the Metropolitan, also ran seven miles from Quainton Road station north of Aylesbury to Brill, a small village not that far away from Oxford. Both lines were taken over by London Transport in 1933, but they were not economically viable. Trains on the Brill branch often carried only one passenger, and the engines frequently derailed. 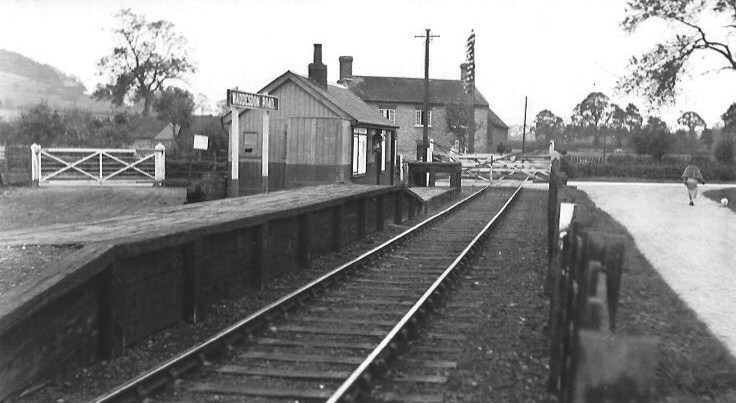 The Brill branch was closed in 1935, and the line to Verney Junction the year after. Fact 126. 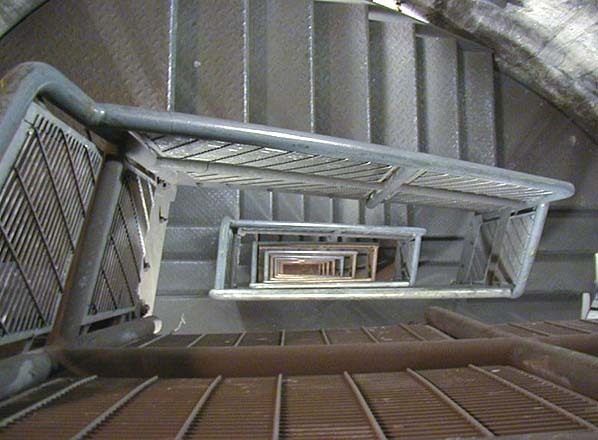 The River Westbourne was funnelled above a platform on Sloane Square in a large iron pipe suspended from girders. It remains in place today. The River Westbourne, which was originally called the Kilburn, starts from one of the ponds on Hampstead Heath. A stretch of the stream known as Bayswater gave its name to the area north of Hyde Park, and it was originally crossed by Knight’s Bridge at Knightsbridge. The river was dammed in 1730 at the instigation of Queen Caroline, wife of George II, to create an ornamental lake, the Serpentine, in Hyde Park. But now it is one of the ‘lost rivers’ of London, along with the Fleet and the Tyburn. The river is now almost entirely underground, running through Hyde Park in a culvert and under Chelsea in a pipe. A vestige of the river exits into a quay on the River Thames near Chelsea Bridge, but the main part leaves as an outfall from a pipe now called the Ranelagh Sewer, which can be seen at low tide. When Sloane Square station was being constructed in 1868 (now served by the District and Circle lines), the river could not be diverted and so it was carried in a nine-foot diameter cast iron pipe supported by girders 70 feet across the railway tracks. A German bomb fell in November 1940 and destroyed most of the station, with heavy casualties, but the pipe survived. 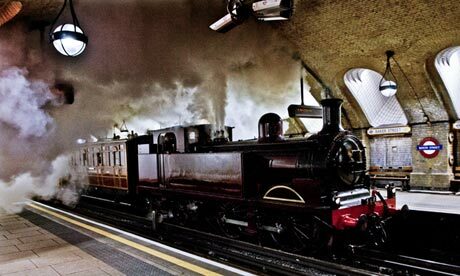 To complete this brief excursion into the world of London Underground in its 150th anniversary year, 150 Great Things about the London Underground, is worth looking at (link). The blog opens on the most recent post, number 133 at the time of writing, and you can then scroll down, but you can see all the topics that have been covered so far by selecting the alphabetical or numerical index in the right hand column.